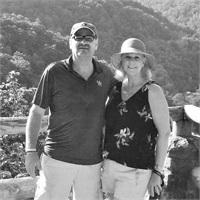 Jennifer is originally from New Jersey and moved to Danville, KY when she was 9 years old. In 1985, she married Gaines Shoffner, moved to Elizabethtown and gained a stepson Joshua. In 1993, they had another son Dylan. Jennifer began working at Owen LaRue Financial Group, formerly LaRue Financial Advisors, in March 1999. 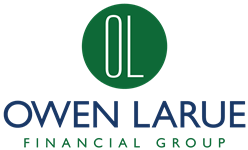 Before joining Owen LaRue, she was the office manager of a new car dealership where she gained experience in customer service and accounting. Jennifer enjoys working with our clients, and helping with whatever needs or concerns they have. Jennifer and Gaines are very family oriented and try to spend as much time with their sons as possible. Josh resides in New Albany, IN with his wife Katie and his two children Devin and Sydney. Dylan graduated from the University of Louisville in 2016 and currently works and resides in Louisville. As a family, they enjoy relaxing at home by the pool, going to concerts, attending baseball games. They have been to many games as Dylan has played baseball since he was 4 years old, pitched for Central Hardin HS, was a member of the 2011 State Championship team, and played college ball for 2 years at St. Catherine College, 1 year at Volunteer State and 2 years at University of Louisville. Jennifer also enjoys spending time with her 4 sisters and her good friends, whether it is shopping downtown, enjoying a glass of wine, a little line dancing, a quick weekend getaway and maybe a horse race or two at Churchill Downs. Jennifer enjoys the simple things in life and tries to see the good in each day. Life is too short to worry about insignificant things.